PP1K Portable Pistol Safe is rated 2.5 out of 5 by 2. The PP1K Portable Pistol Safe protects your guns and pistols from unauthorized access and theft with solid steel construction and a pry resistant door. 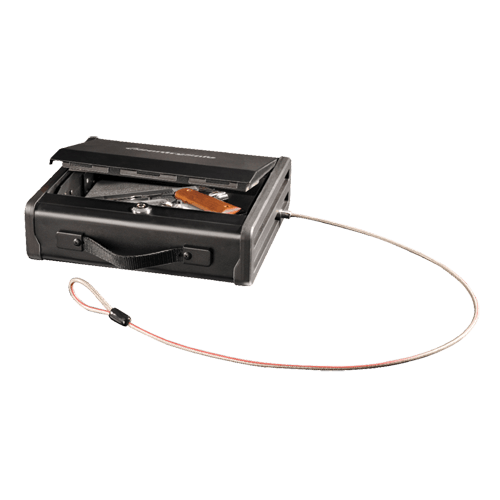 This gun safe was specially designed to provide on-the-go security with a convenient carrying handle, a steel tethering cable to secure your items and a high compression interior foam to prevent damage to your handguns and other valuables while on the move. Keyed locking mechanism helps keep items secure in case of theft. Rated 4 out of 5 by MC in OC from Good Product. Please expand the lineup The key lock feature is important for vehicles because batteries are too unreliable, give the heat cars can sit in all day. I'd like to see a smaller version that gives more vehicle stowability options and continues to feature a cable tether. 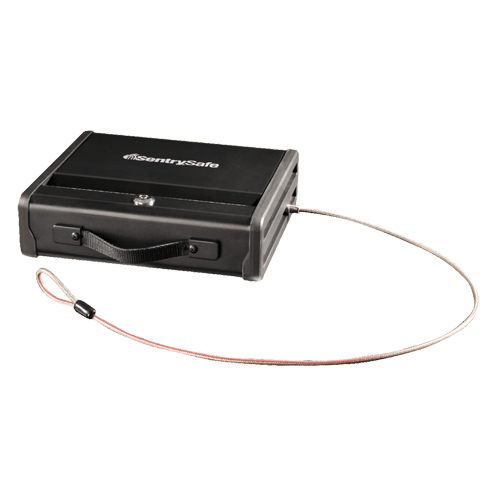 Larger portable home safes should also offer the cable tether feature. Rated 1 out of 5 by Broken safe from Terrible experience This safe is terrible! After just (10) opening and closing uses, the lock broke. The lid closed but the lock won’t engage into the slot. This would have been a real disaster if the lock broke with my gun locked inside the safe.